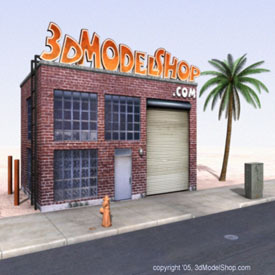 Welcome to the brand new 3dmodelshop.com! At 3DModelShop, our primary goal is to provide you with access to select professional quality 3d models, textures, and related digital content, at affordable pricing. While other sites on the net provide a clearing house approach where you have to search and filter through great and not-so-great content alike, our approach is to deliver digital 3d content that has been, you might say, screened for quality. In other words, we try to help you get to the good stuff more easily! They're here! Just released is our new line of retro-styled 3d cars. You will find several variations of this theme, from sporty 2 doors, a classy 4 door sedan to a police car and taxi cab! These high quality models include detailed interiors and finely crafted exteriors. No corporate branding means no trademark issues! We think you'll agree that these models are high in quality and unique in design! Be sure to check back for other cool models coming soon. 3dmodelshop.com generated this page in 0.007698 seconds.